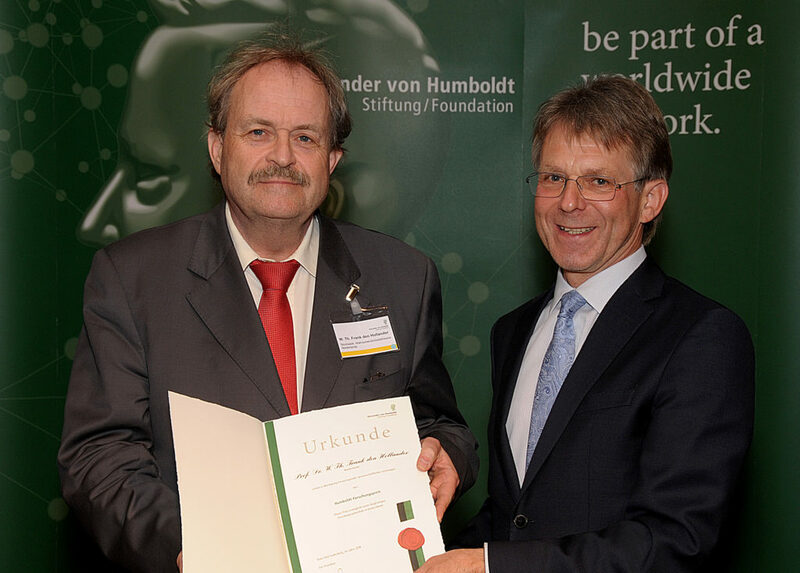 March 29, Frank den Hollander was presented with the "Urkunde: Humboldt-Forschungspreis". 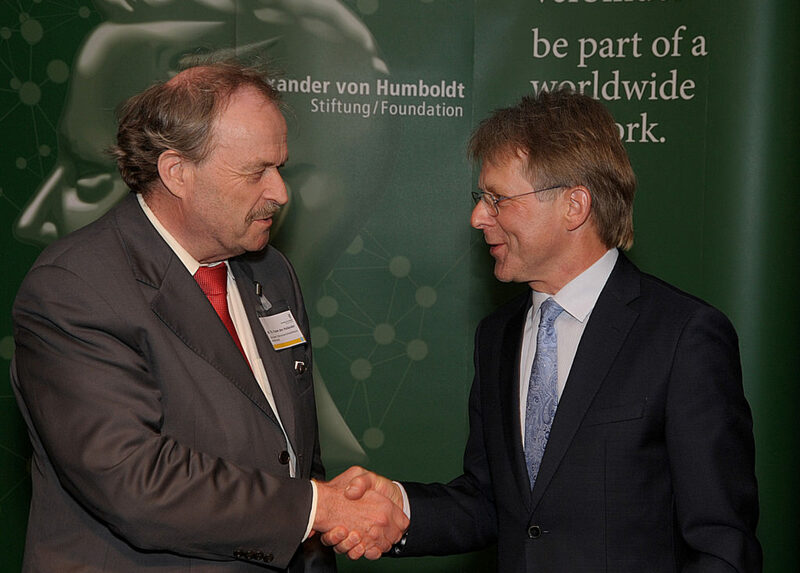 The laudatory speech: Professor den Hollander is an internationally recognized researcher in probability theory, in particular, in the fields of large deviations, systems evolving in random media, and applications of probability theory in mathematical physics and mathematical biology. The breadth of his interdisciplinary projects is unique, bridging from Mathematics to Theoretical Physics, Theoretical Biology and more recently to Computer Science. In Germany, he will work on stochastic spatial population models and issues of metastability in mathematical physics.